Let's face it, Puerto Vallarta is a tourist town. Yes I realize this is not a newsflash nor is it any groundbreaking news. 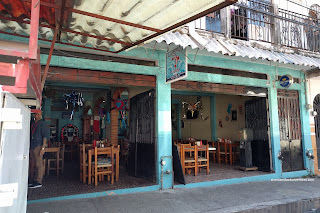 However, it does take a bite out of the authentic Mexican experience. With that being said, it is fairly safe and one can still have a hell-of-a-time. 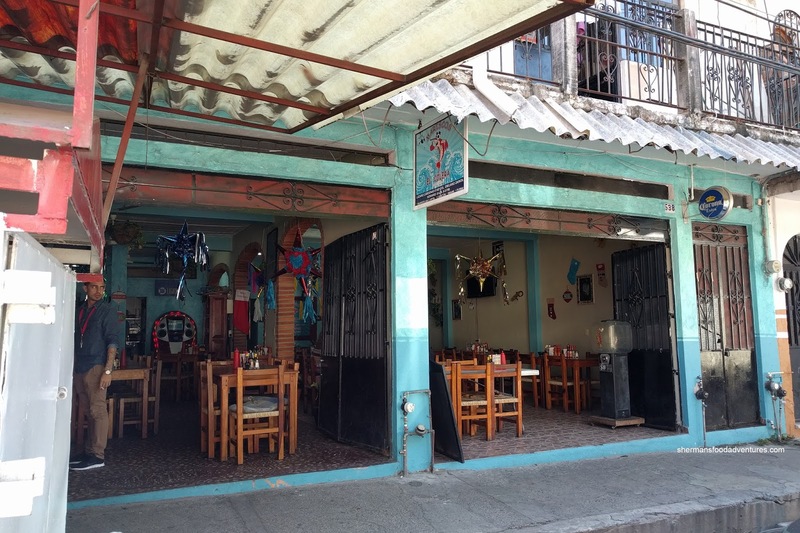 After walking quickly by the tourist traps along the waterfront and near the waterfront, Viv and I made the trek up to the less touristy area for some tasty horchata from a street vendor and an inexpensive lunch at Mariscos el Colera. 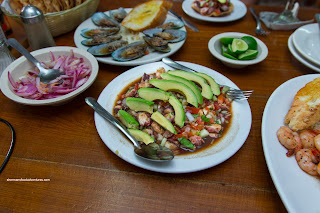 For only $5.00USD, we were amazed at the size and quality of the Shrimp and Octopus Ceviche. It was very good. The nuggets of octopus were plump and tender with an appealing chewiness. 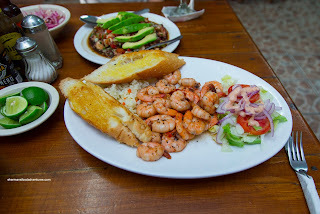 Unlike the one we had at Cabo, the shrimp here was whole and still raw, but partially cooked by the ample amount of acidity. The same octopus was plentiful in the Tostada, yet not flavored like the ceviche. It was natural-tasting with a certain sweetness. 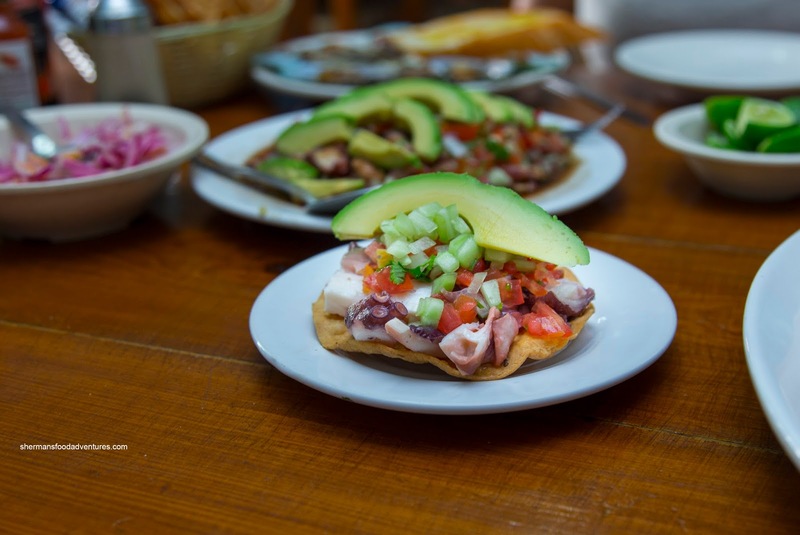 With a squeeze of the fresh limes, it brought the octopus alive. We loved the fresh and ripe avocado too. The Garlic Butter Shrimp were nicely seasoned and beautifully executed. They were fresh and meaty with a snap. Each bite of the meaty shrimp were buttery and bordering on salty. 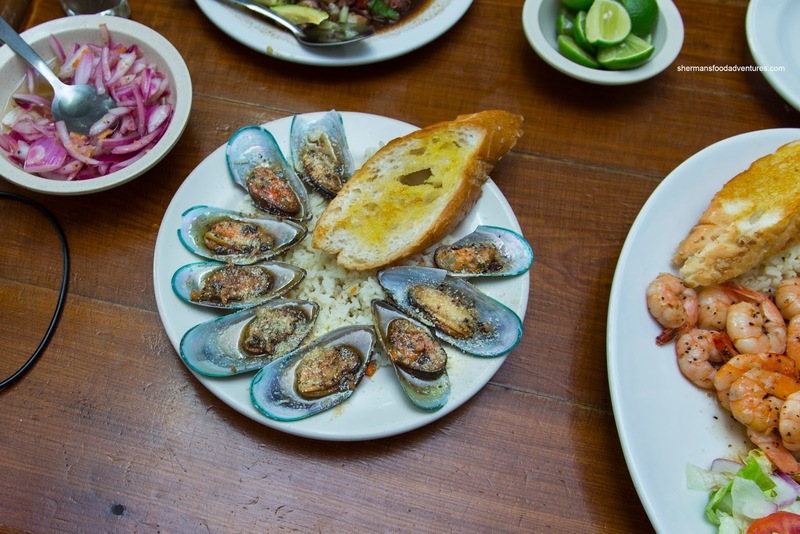 Again, a squeeze of lime helped bring balance to the flavors. We weren’t as impressed with the Mussels though as they were overdone and chewy. However, the cheese, garlic, butter and herbs were intensely tasty. However, this was the only thing we didn't enjoy in our meal. Especially for the price, there was not much to complain about. Even the drinks were fairly priced.